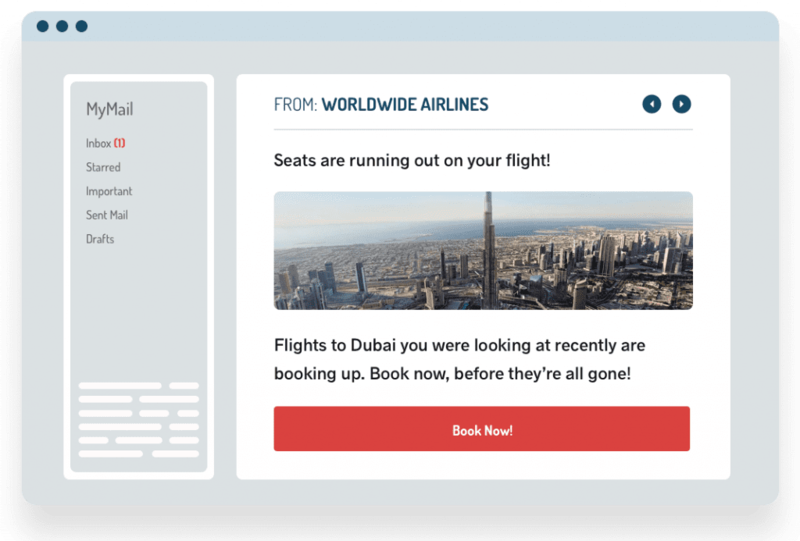 A few popular examples of personalized and timely remarkting emails which lead to higher engagement and conversions. You can trigger an email automatically, whenever prices change for items that are cross-sales for items purchased in the past, since the last time the visitor came to the site. You can trigger an email automatically whenever a price changes for items takes place since the visitor visited the site and left those items in their cart or put them on their wishlist. 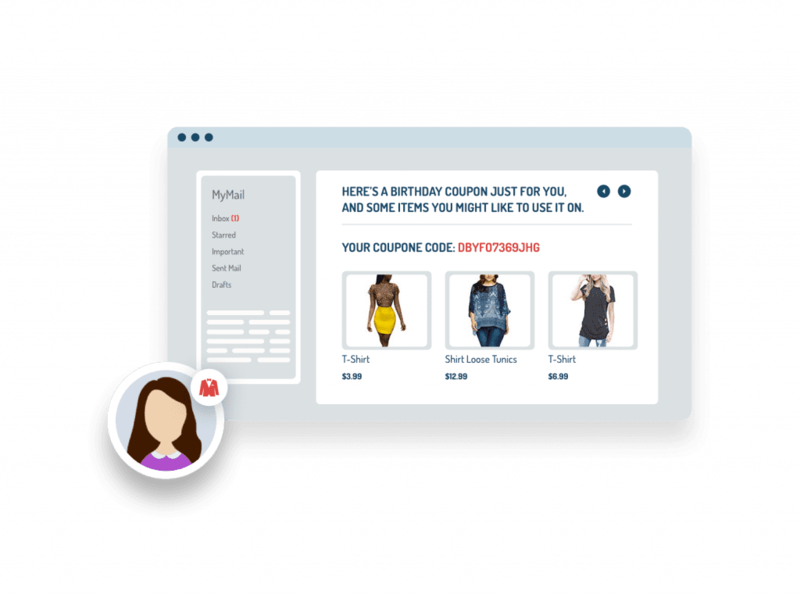 Send an email with a coupon before your customer’s birthday (With CRM integration or FB connect for birthday data), with embedded recommendations based on wishlist, interest from past browsing, or many other algorithms. Utilize machine learning to find patterns in your overall site data, draw correlations between customers based on things like demographic or referrer, and show them what they are most likely to be interested in at that exact moment. 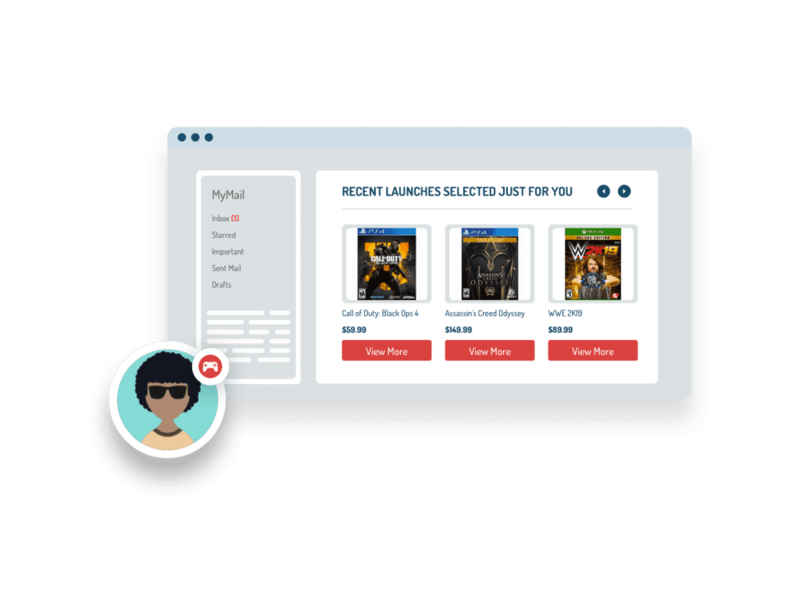 Send an email when you launch a new product, only to those users who have demonstrated an interest in the product category, from past browsing behaviors. Send an abandoned cart email with products left in cart, followed by another email days later with items similar to those left in cart. Include as many such recommendations in your drip campaign as you like. Remind customers to replenish their perishable items, at strategic intervals when they are likely to have used them up. Also include recommendations for similar items, in case they didn’t like the original. Trigger an email after someone purchases an item that contains content recommendations related to that item, such as guides, advice, or other media. 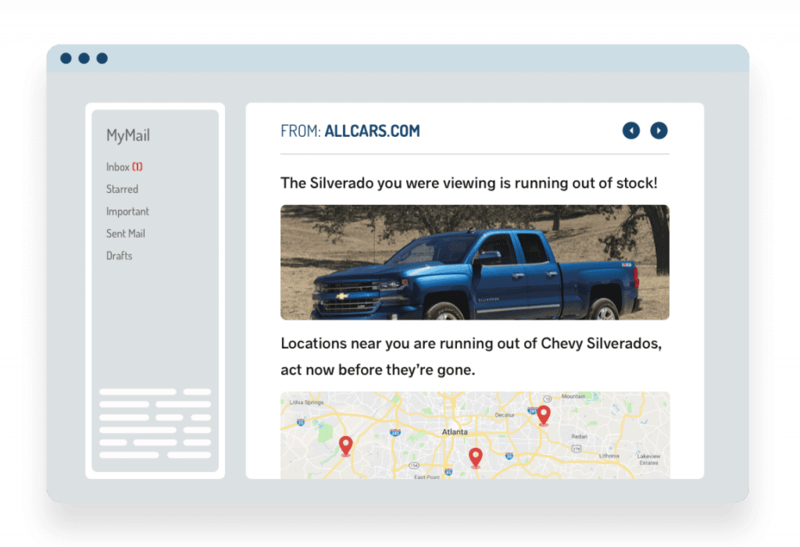 Personyze knows each visitor’s location, and its easy to embed an auto-store locator map into your emails, showing the visitor the nearest location to them; these can be strategically sent to those who left items in their cart, or expressed an interest but then bounced. 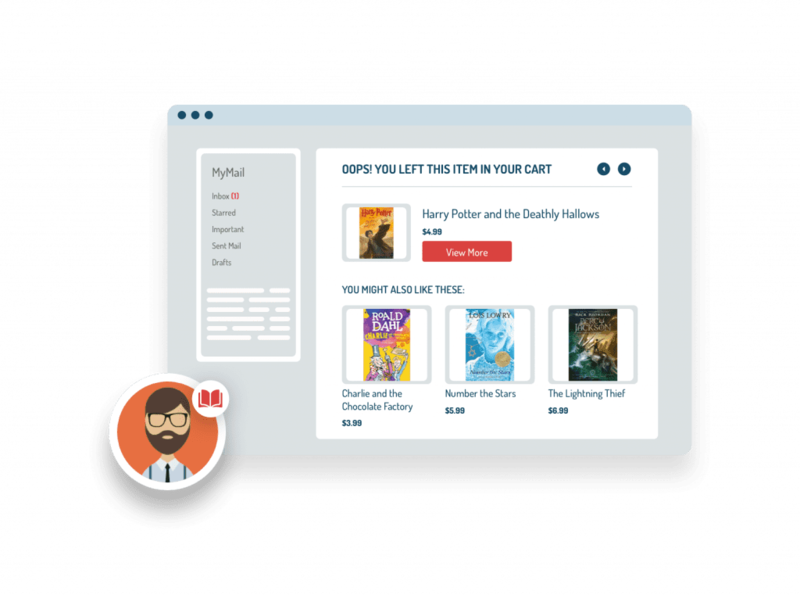 You can send customers an email showing items which they previously added to wishlist, left in cart, or liked, notifying them when the item is low in stock. 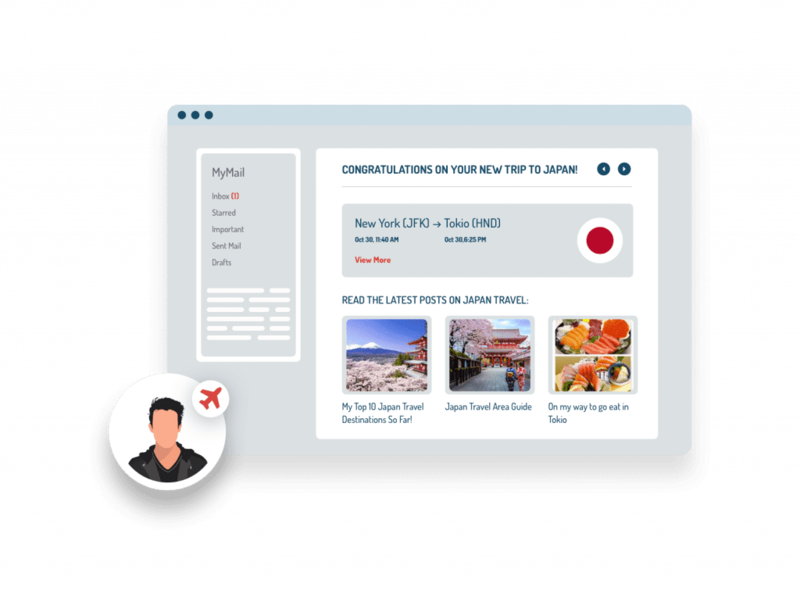 Send personalized and timely emails which lead to higher engagement and conversions. You can send emails based on virtually any onsite behavior, schedule, trigger, or timer. 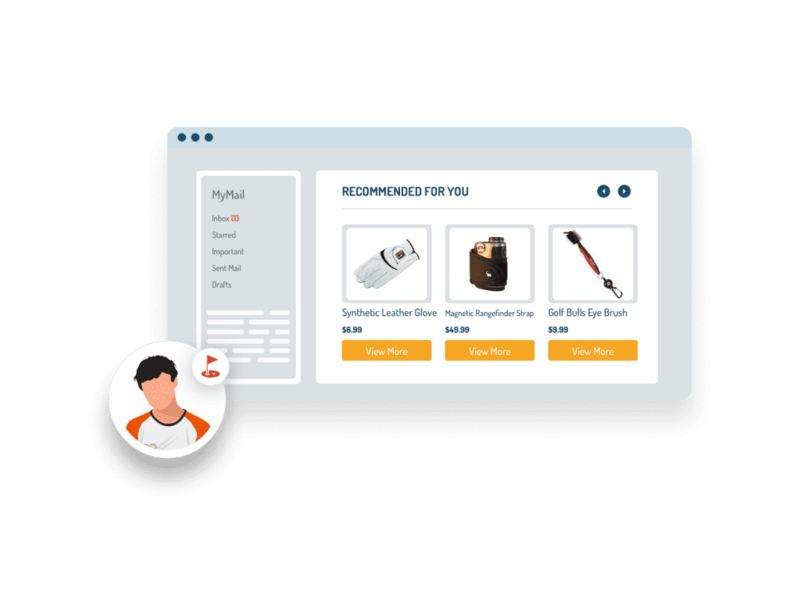 Embed Personyze content and product recommendations in any email, whether broadcasted from our system or your third-party provider. 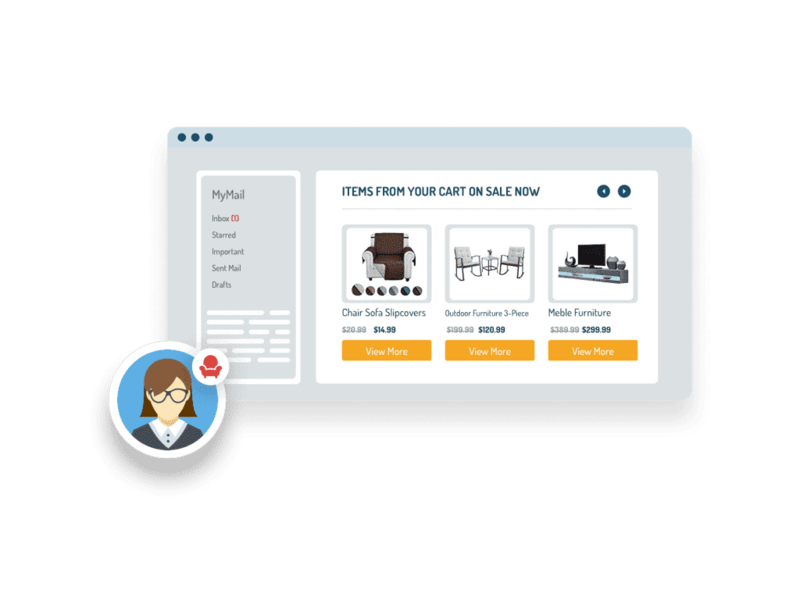 Some of the Personyze Email Personalization features. From abandoned cart, to replenishment, up-sale, cross-sale, and everything in-between, with Personyze you can send automated & targeted email sequences with dynamic recommendations included.